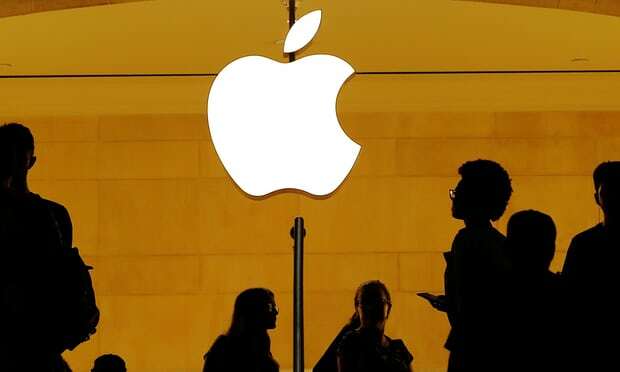 While Amazon was expected to reach such a milestone before any other company, Apple is eventually the first in the US to be valued at $1 trillion. A symbolic number which reflects more than ever the economic impact of technological conglomerates in society. Meanwhile, we have also learned that Huawei overtook Apple to become the world’s second-largest smartphone seller behind Samsung in the 2nd quarter. This is the 1st time in 7 years that any contender has managed to split the top two. Several stories from Facebook this week, too. Following Google and Apple initiatives in that regard, the social network announced new tools to help users better manage their time on both Facebook and Instagram. Though this sounds like schizophrenia as their business model does rely on retaining users on the platform (see this week’s FOCUS below). Facebook also unveiled new features for Pages and a new resource for educators with a digital literacy library around key digital-related topics such as digital identity management. At last, we also heard about Facebook’s willingness to partner with the banking sector to offer new features to users and access new offline data at the same time. Such an approach is subject to debate as this is not the first time that the social network has tried to get its hands on partner data. Earlier this year, Facebook was chasing medical data through partnerships with hospitals. The week also brought its fair share of news from China. 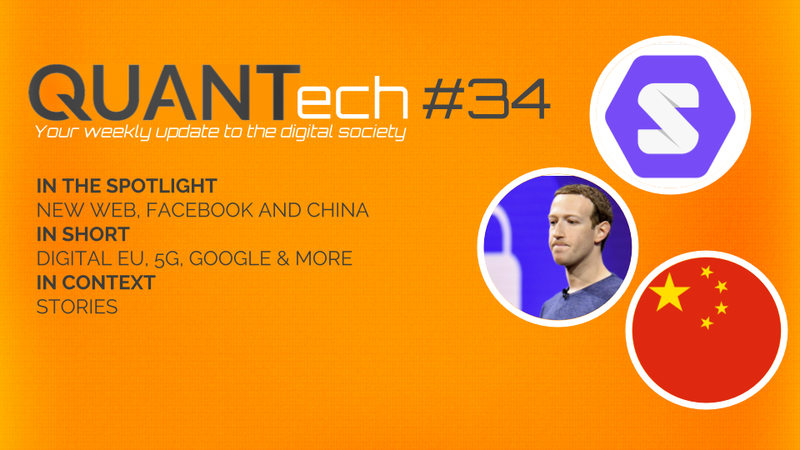 Although I highlighted Facebook’s great fall in the stock exchange within last week’s QUANTech 25, Chinese tech conglomerate Tencent Holdings has suffered a $143 billion loss over the past months. 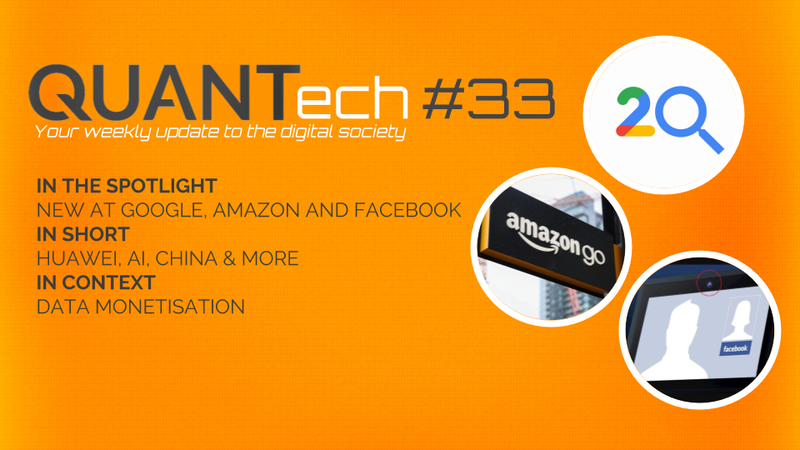 As for platforms, Google would have views on a return to China, which does not leave indifferent within the company. And video app Douyin —known as Tik Tok in the West— announced the purchase of the famous lip sync app Musical.ly. To wrap it up on China, an article about India’s impact on the made-in-China is worth sharing this week. We have heard this past week that the French government has decided to ban smartphones in schools as of next September. This aims at fighting addiction and all the unwanted downsides technology can bring to the playground. But why is that smartphones or the apps we use are so addictive? Can all the good it can bring explain it all? Or is there something else? And is banning the appropriate response given we live in an ever-increasing connected world? First off, let’s clarify a point: the issue is not the smartphone itself, it is (some of) the apps installed on it and how we use them. We are not talking about a hardware addiction, but rather a software addiction. The platforms we use. Referring to what research suggests, it is obvious that we are all pigeons while using « free » apps and platforms like Facebook or YouTube. More precisely Skinner’s pigeons. 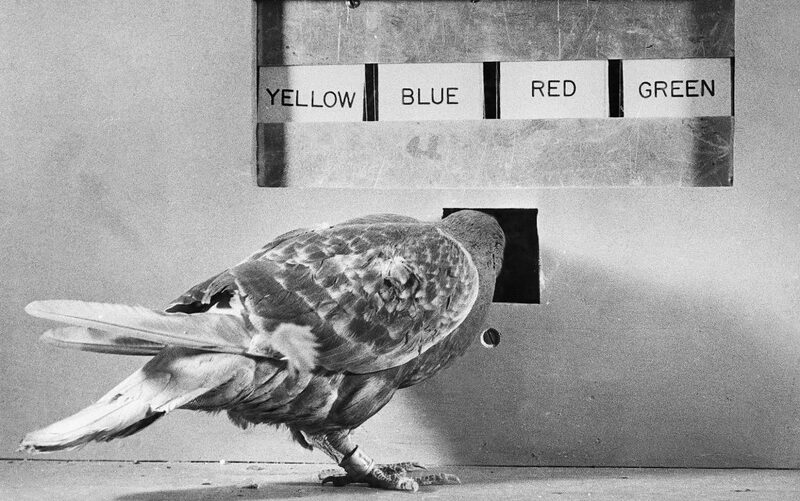 These are the birds that Harvard psychologist Skinner subjected to an experiment in the 50s: Skinner trained them to receive food if they hit a window with the beak, taking care to vary the food supply interval to observe their behaviour. By changing the interval at which he gave them food, Skinner destabilised the pigeons. Some pigeons pecked the box 2.5 times per second, others up to 87,000 times for 16 hours in a row. It is not very different from when we check our smartphones 150 times a day. We do not know how many people have liked our post, if we have new likes, or what our contacts have posted. All these things meet basic social needs and generate rewards in the brain in the form of dopamine release. And because the rewards are variable, we automatically repeat our behaviour in a « maybe there’s something new since two minutes ago » mode. Like Skinner’s pigeons, we just don’t know whether there’s food or not. The food/no food deal, these « variable rewards » really mess up the release of dopamine into the brain and make us want to come back over and over again to our mail box, Facebook feed, whatever it is. Platforms offering a trade-off to access your data with a free service are built by design on the exploitation of these mechanisms. That is why we call them addictive by design. They are active in what we call the attention economy: As we came from a world where the information was scarce to an era of abundance, online platforms today are all into a race for our attention. Our attention means data which implies targeted advertising and revenue. 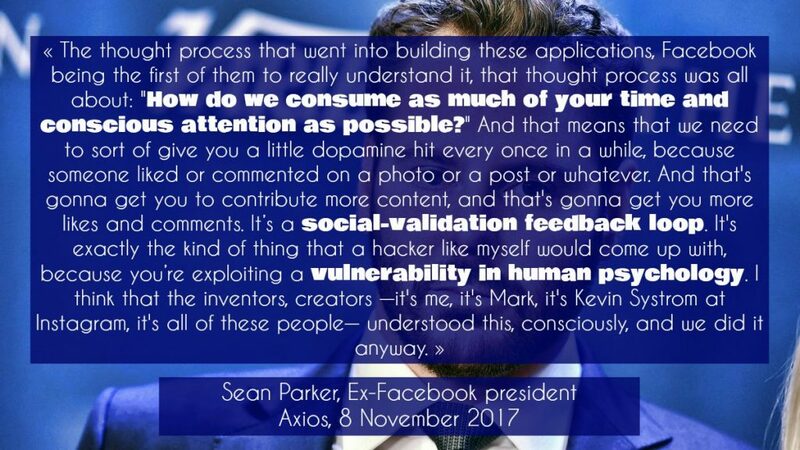 The process to catch attention was clearly explained by former Facebook president Sean Parker last year. The thing is: As long as these platforms will be based on an advertising business model with at least no paid option, the status quo of smartphone addiction will surely remain. Does that mean banning smartphones is the appropriate solution to fight addiction and its impact on education? Temporarily, maybe. But not necessarily. Food is a good analogy to illustrate it: Obesity is endemic in the US, but this doesn’t mean we must stop eating. We must teach people to live responsibly with technology. To do so, we first need to raise awareness, not just among academics like Silicon Valley luminaries have done in the past months, but among the public for everybody to understand what « free » really means online at this point in time. Greater awareness can lead to more responsibility on the user side. But this is clearly not enough: As suggested by the World Wide Web founder Tim-Berners Lee, tech giants need to be more creative and come up with a business model that realign technology with humanity’s best interests. 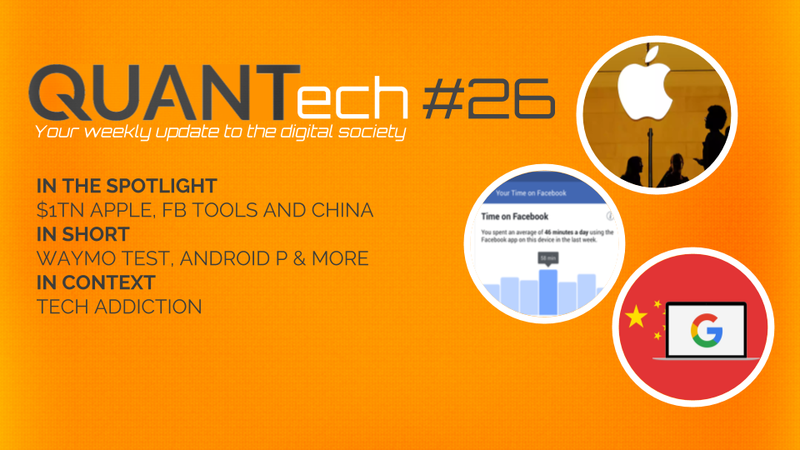 Facebook’s current interests, the primary metrics they look at on the dashboard like ad clicks are against those of users like the time spent with closed ones. 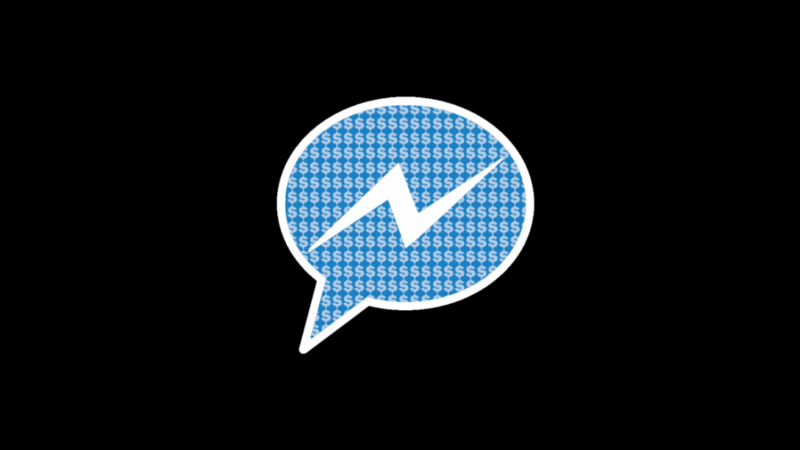 You will never say on your death bed: « I wish I had spent more time on Facebook. » We all agree on that, and that is a reason to be optimistic about future solutions: Both those building platforms as well as users share common human values. The platform designers surely do not seek to make our life worse, but rather better and frictionless. The method is just wrong. And this has to change.